Everpresent, however, is the underside of tranquility, evil. Evil, which spurns prosperity and disdains peace. Gather they did, those who wished to summon the powers of darkness and cleanse the decadence of the world. And, with smiling countenance, they anxiously awaited the coming of their era. A hundred years had past, and he was resurrected. Able to become bat, wolf, or mist at will, he lived in the night. He drank the blood of young maidens and lived an eternal life. The lord of Demon Castle, the god of evil, Count Dracula was reborn. Please set the CD-ROM disc correctly, and at the "SUPER CD-ROM2 SYSTEM" screen, press the RUN button. The opening demo will begin after the Konami logo is displayed. If you press RUN at the title screen, you will be presented with a menu screen. Otherwise, another opening demo will begin, followed by a demo of game play. In addition to being able to play the game with any registered characters, the menu screen presents you with options for "NAME ENTRY," "NAME CHANGE," "FILE DELETE," and "FILE COPY." You must register before starting the game. Move the cursor using the direction pad and select "NAME ENTRY". Pressing button I will bring up the name entry screen. Now, select any empty slot among slots for player 1, 2, or 3 and press I to specify the player's name. Use the direction pad to choose desired alphabet characters and button I to confirm them. If you make a mistake, you can correct using the II button. When you are done, move the cursor to END and press I to return to the menu screen. If the damage sustained is not too great, you can hold your stance by crouching. To change the name of registered players, use the NAME CHANGE option. Select the name to be changed with the cursor and press button I. When you have finished making changes, select END at the character entry screen to finalize the change. Use FILE DELETE to erase the data file for a player. Place the cursor over the player to be erased, and cofirm the delete using button I. Select END to return to the menu screen. FILE COPY duplicates a player's data file into another data file. Choose the player to be copied with the cursor and button I; then specify the destination with the cursor and confirm with button I. When you choose one of the registered players with cursor and I button, you will be presented with that player's data file screen. The file screen presents you with options for "GAME START," "PLAYER SELECT," "STAGE SELECT," "TECHNIC," and "SOUND TEST." Note: "PLAYER SELECT" and "STAGE SELECT" will not be available until you have progressed to a certain degree in the game. Maria does not have the stamina of Richter, so beware of heavier damage. Direction pad - Movement in left and right directions. Stairs are climbed using the up and down directions. Crouch by pressing down. II Button + Up Direction - Item attack. SELECT Button - "Item Crush." Press Up while in air to land on stairs. Button I + Down Direction will let you drop from stairs. Perform double-jumps by pressing Button I during a jump. Down Direction + Button I lets Maria slide. Pressing SELECT with RUN depressed resets the game. When the player uses the whip/weapon items to defeat monsters or destroys candles, items will appear. Items provide power-ups and special attacks. Special attacks are limited in use by the number of hearts you possess. When the player sustains damage, the life meter will decrease. If the life meter becomes completely empty or you fall into "pits," the player loses a life. Even when all player lives are lost, you may replay starting at the beginning of the stage with the CONTINUE option. The game is divided into 9 stages, but there are additional hidden stages which offer split paths through the game. Each stage presents the player with boss character at the end. You must defeat the boss to obtain the magical orb necessary to clear the stage. Meat and parfaits are hidden within walls. Try breaking suspicous looking places. There are a total of 9 stages, but split paths may be accessed through hidden stages. Investigate suspicous surroundings -- you might find the entrace to a hidden stage! You travel a path through the woods on a horse carriage. Though there are no minor enemies at this point, Richter will come face to face with Death (literally). 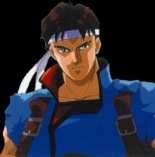 Richter must make his way through the burning village. The boss here is the Wyvern. To proceed to the alternate stage, you must confront the Serpent. Fight your way through the front garden to get to Demon Castle. Maria is held hostage somewhere in this stage. Battle takes place over the bridge which spans the lake. Some doors open once you defeat all the monsters on the screen; others require you to find a certain item. The presence of evil monsters juxtaposed with the beautiful stain glass windows of the chapel. The Minotaur awaits you at the end. An eerie cemetary in the midst of a swamp. Evade the trademark traps of Demon Castle to challenge Dyulahan. This stage is filled with suspended bridges over rivers and waterfalls. Combat takes place on a decrepit ghost ship. The loyal minions of Count Dracula await you. As fate ticks away, make your way to the top of the clock tower. The destined confrontation with the king of evil, Count Dracula. You can climb onto certain monsters, like Skelton Shafts. (*) Again, I'm going to improvise because of the graphics. Increases the number of times you can use the special items. Eliminates all minor enemies that appear on the screen. You become invinscible for a short amount of time. You must obtain this to clear a stage; it will completely revive the player's health. Weak, but has great speed. Though hard to aim, it inflicts the greatest damage. When you throw it, it flies a distance and then returns. Easy to aim and highly effective, the cross is a favorite weapon. Slows down the movement of all monsters appearing on screen. Note that it may not be effective against certain enemies. Rises into flames once thrown onto the floor. Although it has a wide effective range, its intensity is weak. Its mystical pages turn into a whirlwind enveloping Richter. Opens the locked doors and disappears when it is used. A small, white cat charges out toward enemies. Effective against monsters on the ground. Maria becomes invincible, surrounded by a turtle shell. However, movement becomes severely restricted. Press Button II + Up Direction again to disengage. A baby dragon is summoned to attack enemies. It has the greatest intensity of all items. Two birds, one in the horizontal direction, the other in the vertical direction, fly out to attack your enemies and then return. Its effectiveness is rather weak. Once thrown to the floor, 6 chicks emerge and charge at the enemy. The egg itself inflicts medium damage, while the chicks, small damage. Maria's singing voice shrills through the monsters ears; only inflicts a small amount of damage. The number of remaining lives increases by one. (*) Appears in the bottom right corner of page 11. When the heart number indicator appears green and your press the SELECT button, your player is able to call forth the hidden powers of special items! Although the number of hearts exhausted is quite large, the damage inflicted on your enemies is paramount! Descendant of Simon Belmont. Vampire hunter. Age: 19. Blood Type: B. Very righteous and dislikes unfairness. His weapon of choice is the time-honored Belmont family whip. Able to use axes and knives as well. Daughter of distant kinship with the House of Belmont. Held hostage somewhere in Stage 2. Once rescued, may be used by your player instead of Richter. A honest personality and tough fighter. Richter's lover. Held hostage somewhere in Demon Castle. Age: 17. Blood Type: A.
Strong-willed and also dislikes the unfair. Has a very pleasant personality and is nice to all. A nun at the Village Church, also held hostage in Demon Castle. Age: 19. Blood Type: O. Warm hearted, lively, with a passionate soul. Daughter of the doctor and held captive in Demon Castle. A Bright and caring person, she looks out for others. Lord of Demon Castle and the root of all evil. Age: 800 (?). Blood Type: ? Though his cold character is without equal, he maintains the dignity telling of his royal lineage. Voice Actor: Hironari (?) Ishimaru. Even enemies which deflect knives and crosses with their shields can be easily defeated once they are disarmed. (*) Here, I will give the names of the monster in clockwise order beginning with the one in the upper left corner. Wyvern, Giant Bat, Great Armor, Skeleton Warrior, Camilla, Werewolf. The effectiveness of items may differ based on the enemy. Skeleton, Gargoyle, Big Ghost, Behemoth, Armored Knight, Skeleton Giant, Death. Richter's Secret #1: Press Button I twice rapidly to do a back flip! Medusa, Serpent, Crow, Dyulahan, Minotaur, Shaft, Skeleton Shaft. Richter's Secret #2: If you keep Button II depressed, you can move without changing the direction you face. For those of you with cool stereo systems hooked up to your Turbos, you can take advantage of the (small amount of) RSS-encoded sound in the game. Just set up your front two speakers as shown on the inner side of the manual's back cover. It is suggested that you keep the speaker backs close to the wall and their sides away from any reflecting walls. Enjoy!